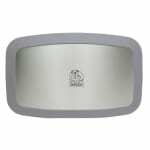 Constructed of stainless steel and polypropylene, the gray Koala Kare KB200-01SS horizontal wall-mounted changing station is durable and resistant to stains and odors. Bacteria growth is reduced with its built-in Microban® and is equipped for businesses to provide parents with public changing facilities that are cozy and secure. 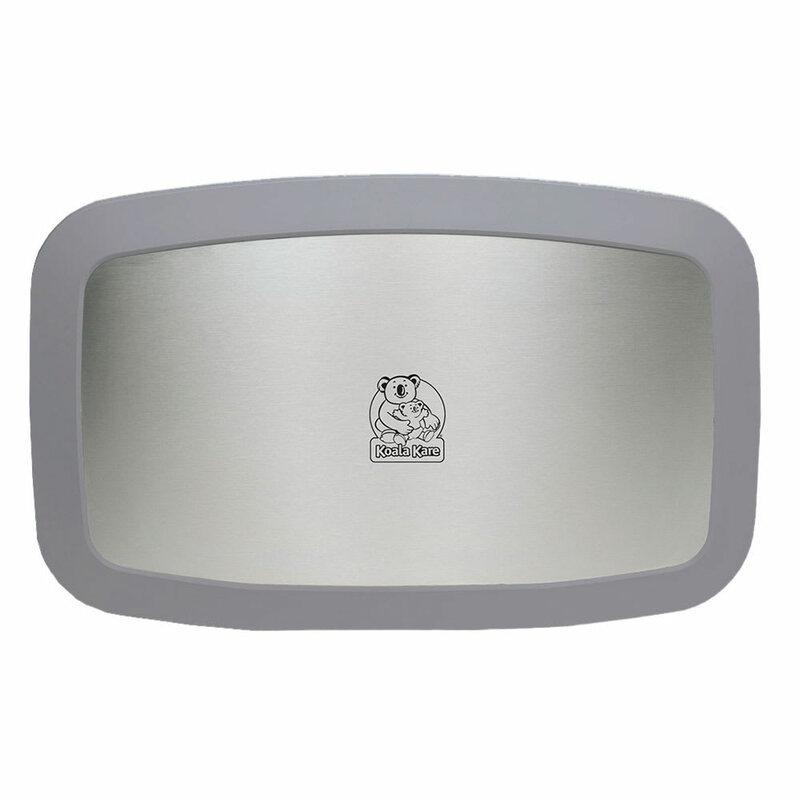 This changing station has steel-on-steel hinges and a gas spring mechanism, as well as a dual liner cavity with a lock. Nylon safety straps hold a child in place to prevent falling, and two bag hooks secure personal items and diaper bags. Unibody steel chassis supports 200 lbs. Get additional information on products like this from our Koala Kare explainer article.